Waterford Greenway history continued to be made in July as the final N25 underpass and the Kilmacthomas footbridge were put in place...restoring the original alignment of the Waterford to Dungarvan railway. 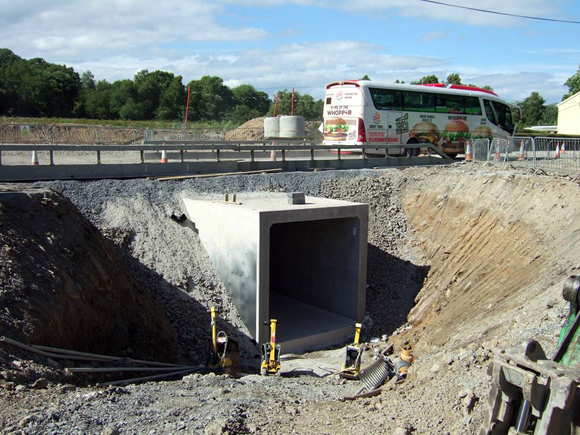 The underpass, at Kildermody, required another road closure but a well put together plan saw the underpass go in safely and expertly, a big well done is in order for the crew who worked through the nights to get the job done. 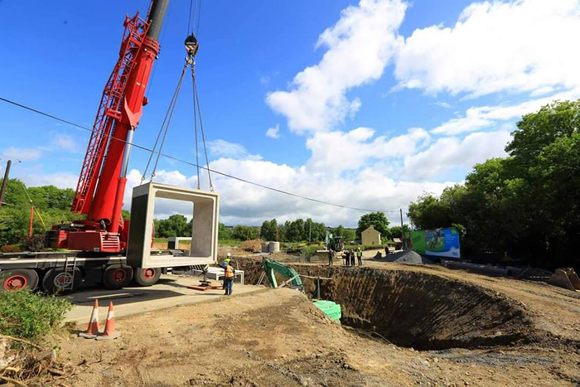 The bridge was an even bigger challenge and attracted a lot of attention when it appeared at the side of the N25 in mid-July. 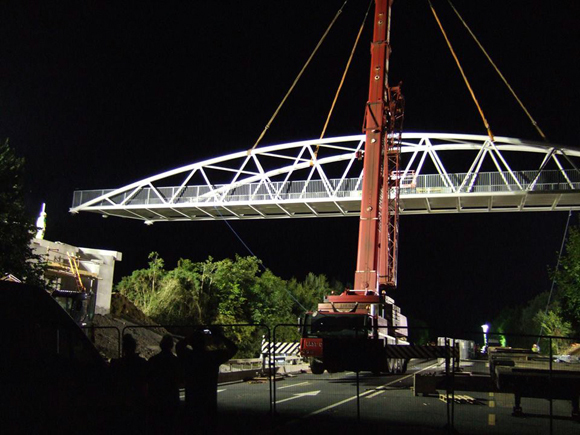 A week later, it was a balmy summer's night that saw the new footbridge laid in place near Kilmacthomas. The evening will be remembered for a very long time by those who watched the mighty lift, with everything in place the lads gave the word and up she went, a mighty structure weighing over 50 tonnes glistening white in the flood lights, not a puff of wind to be felt, the evening was like a dream for the Deise Greenway crew who had always wanted the Greenway to enter Kilmacthomas Station the same way the trains did many years ago. It was a big ask but Waterford delivered and the Greenway will be richer for it. 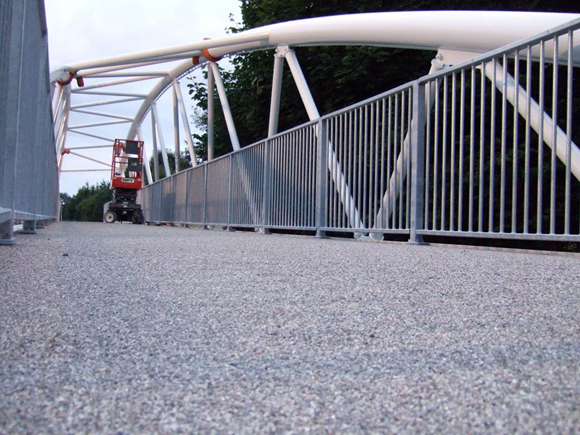 Stunning workmanship by the crews who constructed the bases and the steel bridge itself, millimetre perfect, done safely and professionally. 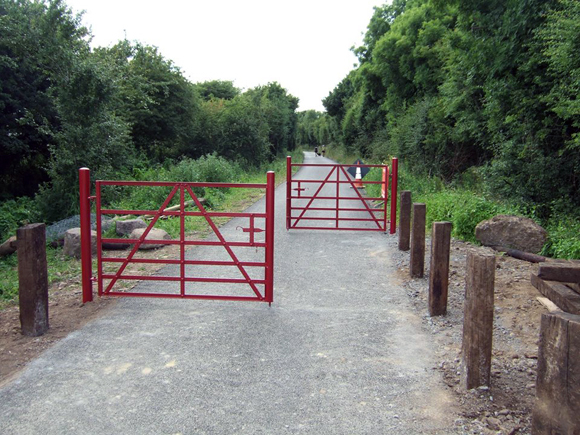 On the safety side, traditional wrought iron gates were installed at the road crossings. The staggered gates will stop people running straight out into the road; a traditional look is how you would describe the gates with rivet binding and drop latches, they look like they were made in a pudding furnace in the traditional way over a century ago. Beautifully painted, they will sit in the rural landscape of County Waterford seamlessly as if they were always there, so well done to the designers and makers for a first class job. August promises to be a very busy month as the finishing touches are put to the most incredible of greenways. Very very soon, the "jewel in the crown" of Waterford's tourism will be open and it will most definitely be worth the wait.